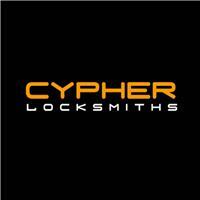 Cypher Locksmiths - Locksmith based in Stourbridge, West Midlands. Are you are locked out? Do your locks need repairing or changing? Perhaps you want to increase the security of your property? At Cypher Locksmiths we can take care of all your lock requirements at a competitive price with little or no disruption to your routine. Operating 24/7 we're the local locksmiths that you can rely on. We service all major lock brands including Yale, Chubb, Union, ERA, ABUS, Mul-T-Lock, Squire and Ferco. For domestic and commercial locksmith services in the West Midlands call us today for more information. Bromsgrove, Dudley, Halesowen, Kidderminster, Kinver, Stourbridge, Walsall, Wolverhampton and Birmingham plus many more.